If you’re anything like me, your shed might resemble something like the picture above. Though I do my best to keep my shed organized, there are still random items on the floor and I’m constantly digging through tool boxes to look for that one specific tool I need. There are so many organizational tips and tools out there to make life in your workshop a whole lot easier and more enjoyable. 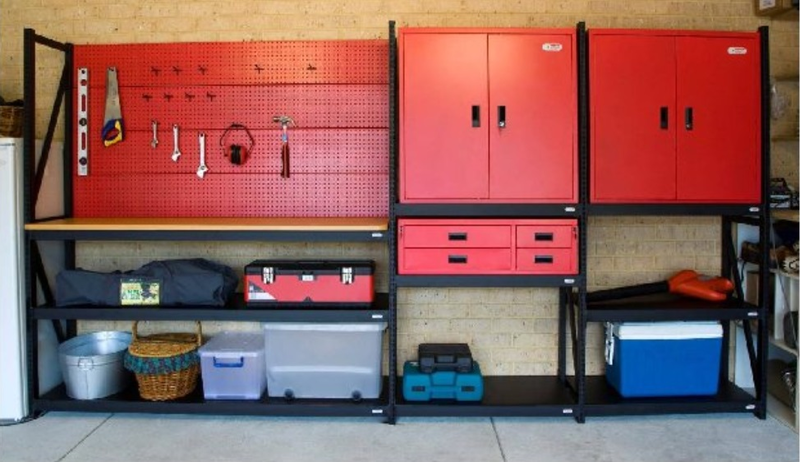 So let’s a take a look at the 6 Best Ways to Double the Storage in your workshop or shed. Shelves are the name of the game. They allow you to utilize space all the way up to the ceiling in your workshop or shed. 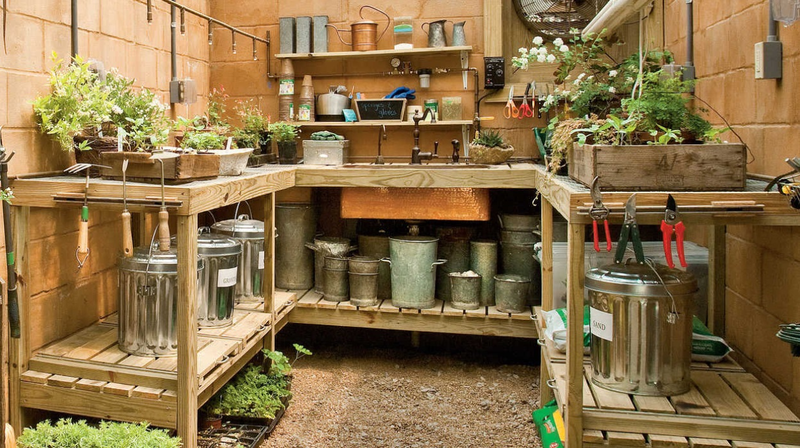 One of the quickest and most efficient ways to organize your shed is by using shelving units. These freestanding shelves are easy to assemble and allow you to organize, consolidate and store your workshop items by maximizing space in your shed. 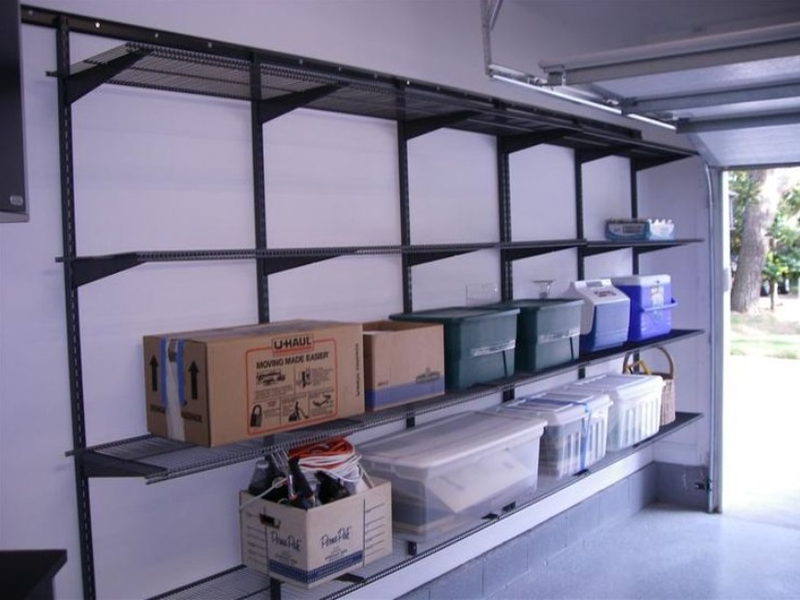 Another option is to install a floating shelving unit in your workshop. These types of shelves give you even more space because they are not as bulky as stand-alone shelving units. For a more streamlined shelving system, go with this choice! Another great way to maximize space in your workshop or shed is by using a pegboard wall to organize and store tools. This organization method makes it easy to see where you have stored your tools. Additionally, it allows you to fully utilize your workshop walls leaving no space wasted! Make sure you invest in some quality labeled containers for storing tools and workshop knick knacks. These containers can sit on your shelves. Labeling them will allow you to easily access to items you are looking for. Hanging hooks are such a great option to add storage space in your shed. These will aid in decluttering your floor space. All those garden tools like rakes and shovels can be hung up on the wall. Not only will this give you more floor space, you’re way less likely to trip and fall and shout obscenities while tackling your Saturday to-do list. 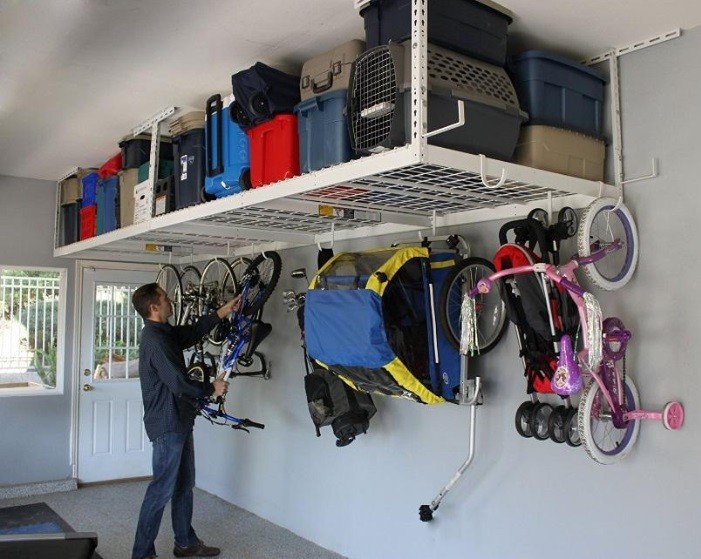 To get the most out of your workshop or shed, try ceiling racks for even more storage. 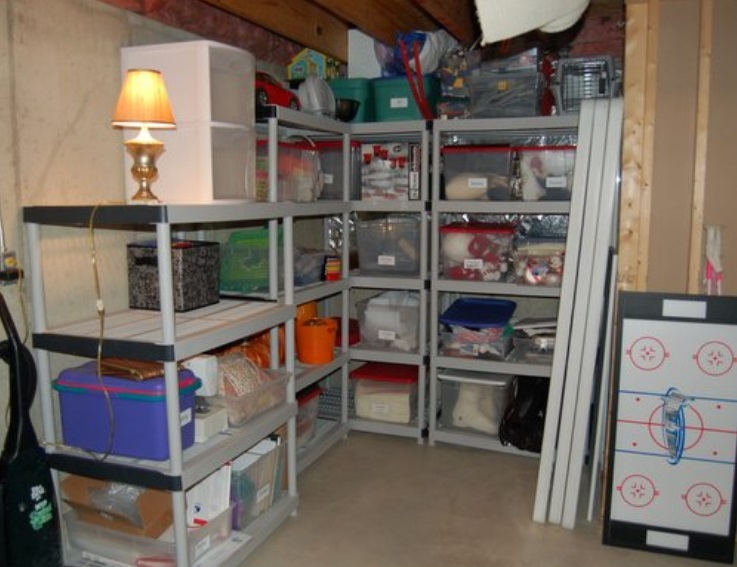 This is a great place to store seasonal items or tools that are rarely used. They’ll be out of sight but you’ll be able to access them when you realize you need them! 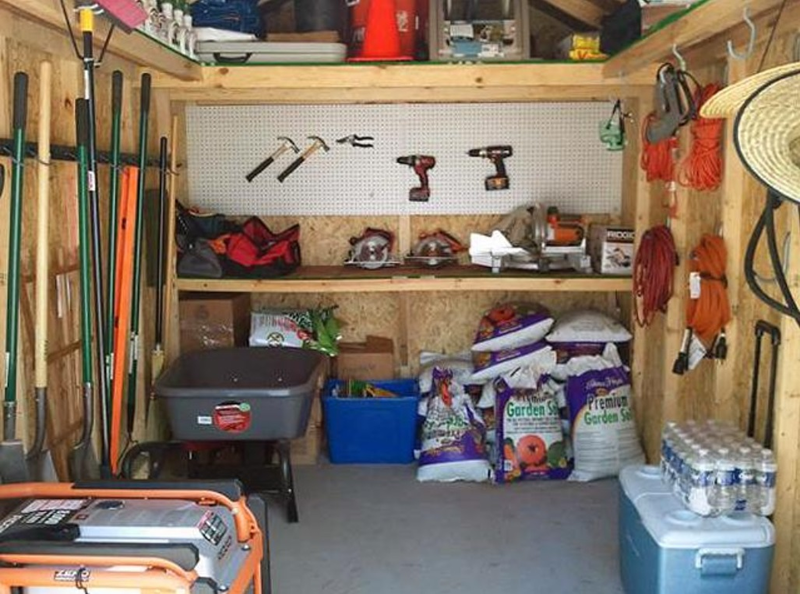 Our last piece of advice to double the storage in your shed is to take full inventory of your workspace. Broken tools? Expired chemicals? Throw them away! Do you have tools you know you will never use? Donate them to a friend or nonprofit organization. As clutter increases, so does disorganization. So make sure your workshop hosts only items that are in good working condition and that you are currently using or will definitely need to use in the future. 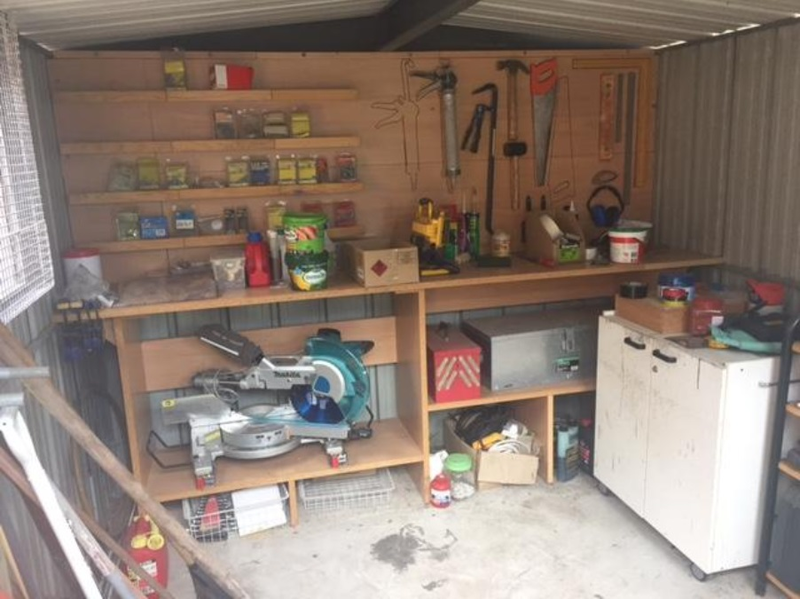 Once you’ve cleaned out and reorganized your workshop or shed, you’re much more likely to enjoy your time fixing, building and creating. An organized workshop offers peace of mind and makes you much more productive! Hi, my name is Zac. When my wife told me I needed a shed it started my outdoor affair. You can find everything you need to know about building a shed here. Really good advices! I would also add to use more compact tools. If speaking about router tables, for example, you may use bench top router tables and it takes very few space when you don’t work on it. Good Tips. Thanks so much.